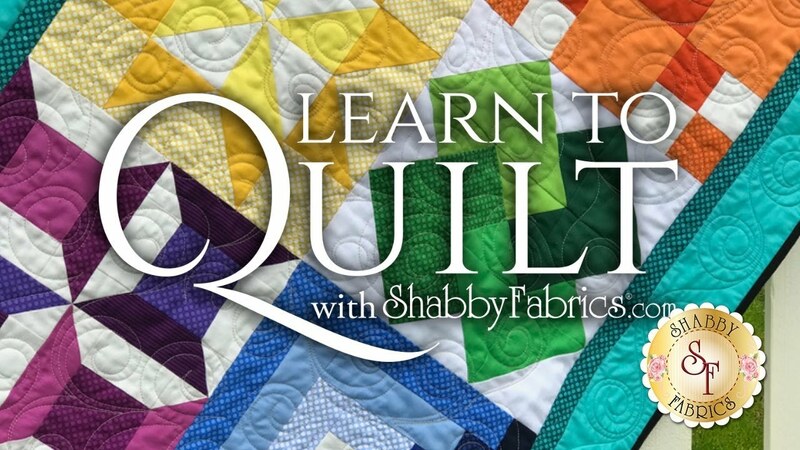 The Shabby | A Quilting Blog by Shabby Fabrics: Learn to Quilt Series: The Halfway Point! As many of you probably know, we kicked off our eight-part Learn to Quilt video tutorial series on our YouTube Channel a few weeks ago in hopes of introducing quilting to a whole new group of people! Well, we have just hit the halfway mark of the series and think it's time for a little check-in and update. Here is a quick summary of the techniques and blocks from the series so far! 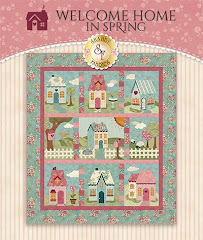 To kick off the series, Jen introduced you to the Beginner Quilt Kit and Basic Notions Kit that have everything you need in order to complete the quilt featured in these videos! She also went over some basic quilting terms like "block", "pre-cut", and "fat quarter" to give you a little bit of base knowledge going forward in the series. To help show you how important it is to have great tools in order to make a great quilt, she explains each notion from the notions kit. With each video of this series we also have a free download that sums up the video and includes and necessary measurements or instructions click here for the free download for part one! In part two of the series, Jen showed you how to create a classic Rail Fence Quilt Block in stunning shades of red and white. She went over how to efficiently and accurately sew a strip set together in order to get a beautifully square block as a result! Click here to get the free download for part two! Part Three had Jen showing you how to cut, sew, and assemble a Four Patch Chain Quilt Block! This part of the series focused on chain stitching, accurate quarter inch seams, and good pressing techniques! Click here to get the free download for part three! Part 4 is the halfway point of our series and in this episode, Jen showed you how to combine half-square triangles and flying geese to create a Sawtooth Star with Pinwheel Quilt Block in sunny shades of yellow! This part of the series focused on honing in on accurate cutting and how to square up you half-square triangles! Click here to get the free download for part four! That's all for now! If you haven't followed along with this series- each episode goes live on our channel at 10am PST every Wednesday until July 26th but they will stay on the channel forever for you to reference or watch at your convenience! 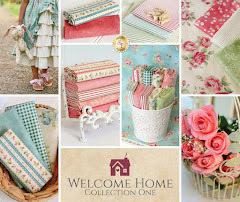 Don't forget to grab your Quilt Kit and Notions Kit if you haven't already! Have any questions? Leave us a comment here on the blog or over on our YouTube Channel and we would be happy to help! Thank you so much for following along with our Learn to Quilt Series! We hope it is inspirational and informative!